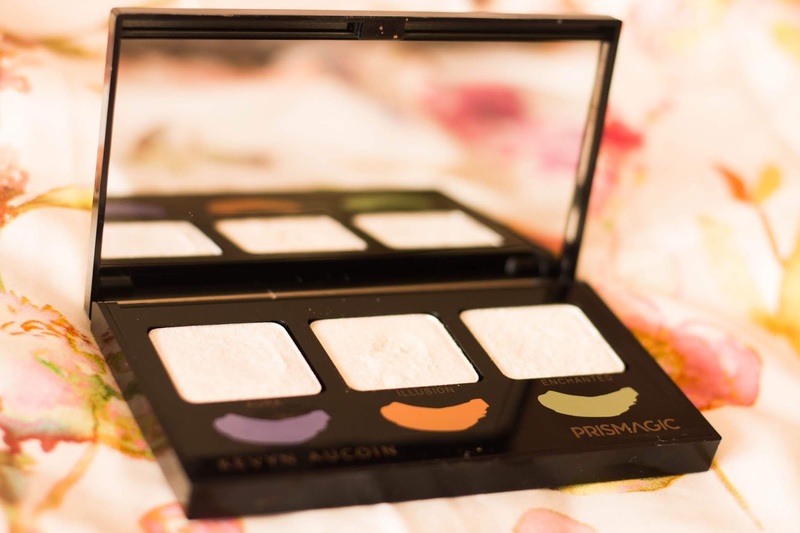 Gift Idea and Review 1: The Kevyn Aucion Prismagic Highlighting Trio. With Christmas coming up, I wanted to do a few more post reviewing products which I think would make great gifts, from beauty to books and everything in between. These will all be things I own and have used and enjoyed myself so the series will create a 'sort of' detailed gift guides for the 20 something female. 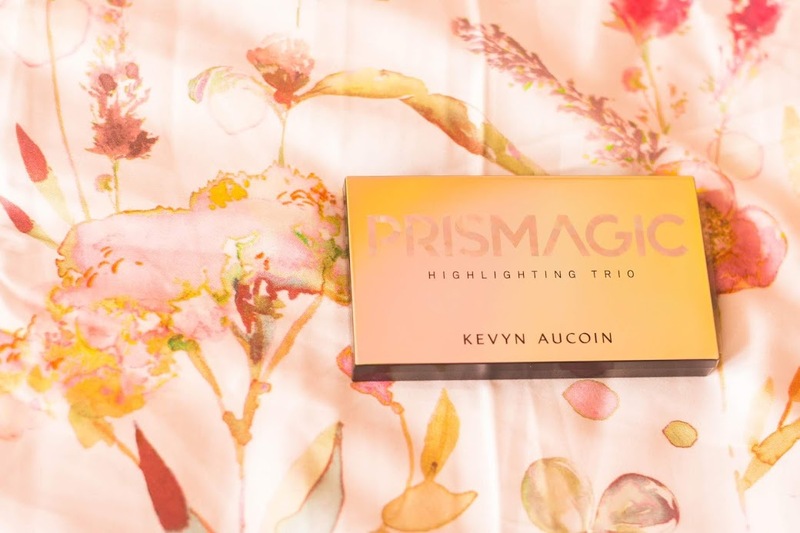 First up we have the Kevyn Aucoin Prismagic Highlighting Trio. I got this for my birthday and was chuffed for it. It makes a great gift as it's luxury and a little unusual. It's not necessarily something you'd buy for yourself with the £36 price tag for three shades but if you really want to treat someone I think this highlighting trio is pretty special. 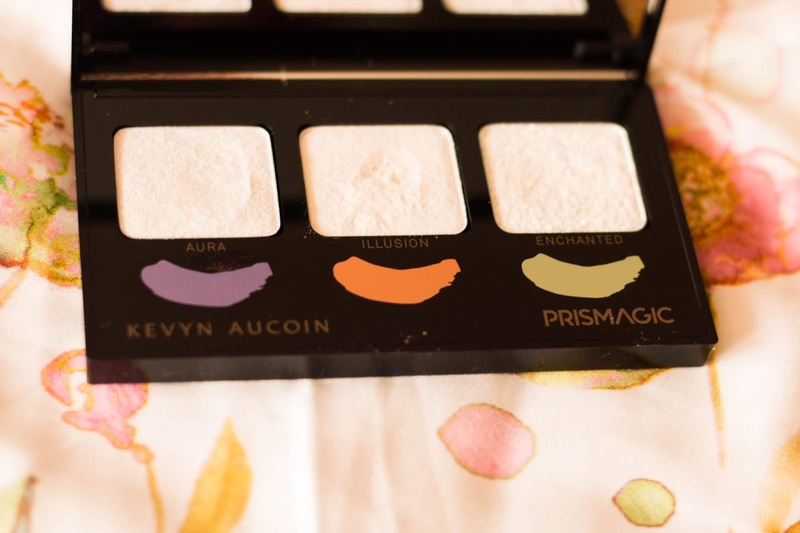 At first glance, the shade all look a sort of off-white colour with some glitter running through, however, once you apply them to the skin, the different colours show through, and, they all have an iridescent, glitter finish, which is just stunning. 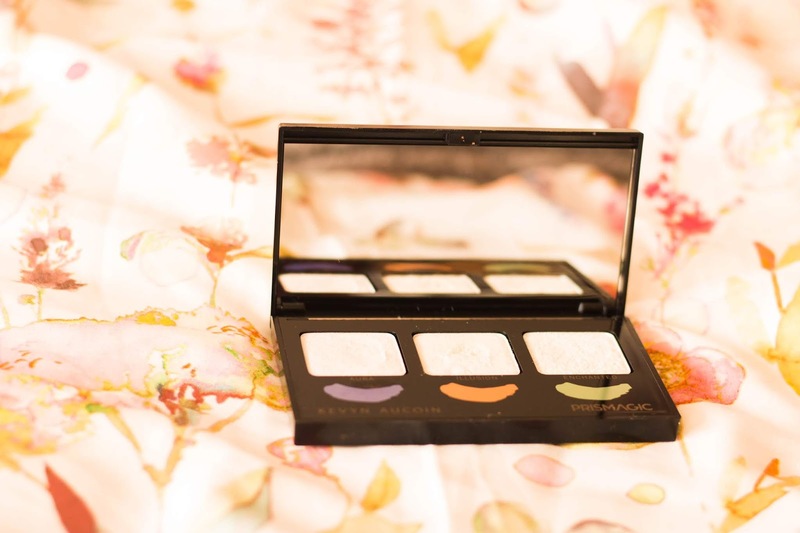 I'll admit the blue and green shades are both a little out there for highlighters, despite however beautiful a glowy they are, I'm not particularly drawn to brushing these along my cheekbones, however, they make for stunning eyeshadows. The formula is ever so slightly crumbly, however, with how I use the shades it doesn't seem too much of an issue. They still blend well and look gorgeous on the skin. Once applied on a brush, it is difficult to see how much product you've got on there, so it takes a little guesswork, but as shades apply quite subtly, only really standing out when you hit the light, too much product doesn't seem an issue. The shadows are buildable, so there is always the option of adding more. The colours are both subtle and stand out at the same time. 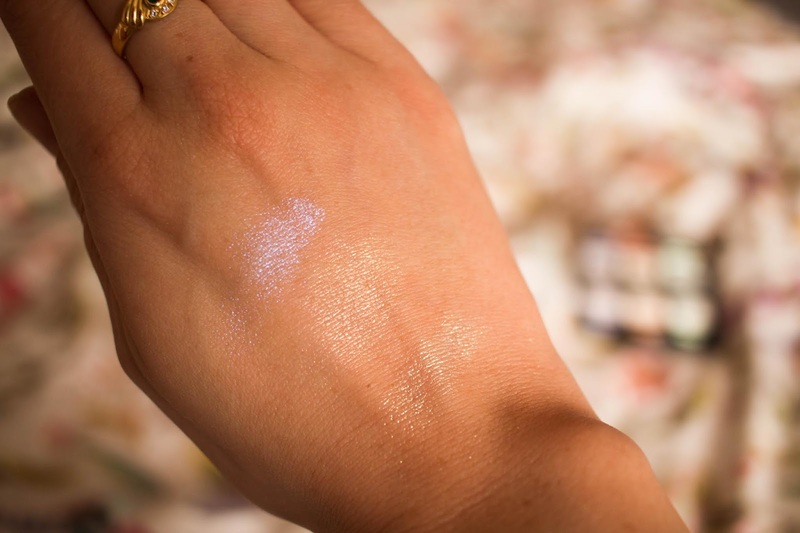 They apply quite finely, adding a hint of colour and a stunning glittery glow to the skin, but despite the vibrant shades, they are not too over-powering, they are simply a little more interesting than your average pink/gold toned highlighter. The packaging is beautiful and luxurious. There is a little swatch of each colour next to the shades to give some idea of what they look like on the skin and there is also a mirror inside the compact. It's small enough to slip into a handbag although the gold reflective outside is just beginning for fingerprints, it looks beautiful and classy nonetheless.